The tomatoes are ripening by the bowlful every day and we are eating lovely pasta sauces and soups which taste of the sun and make me realise how insipid tinned tomatoes are! The chillies are starting to fruit – just in time for the cold of autumn, which will stunt their growth in no time. Every year I try to grow chillies – every year I get about two weeks worth of fruit before the autumn shrivel. You’d think I’d learn, right? Hope springs eternal. One day I’ll build a little glasshouse for year-round chillies. 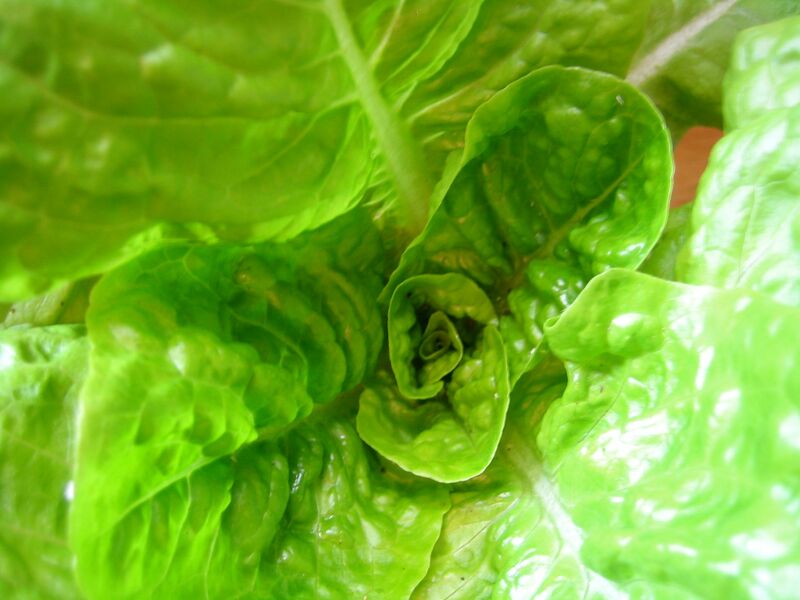 I love these lush little gem lettuces, so much nicer than ice-berg and I eat one a day. They grow very quickly – from seedling to edible head in about three/four weeks. 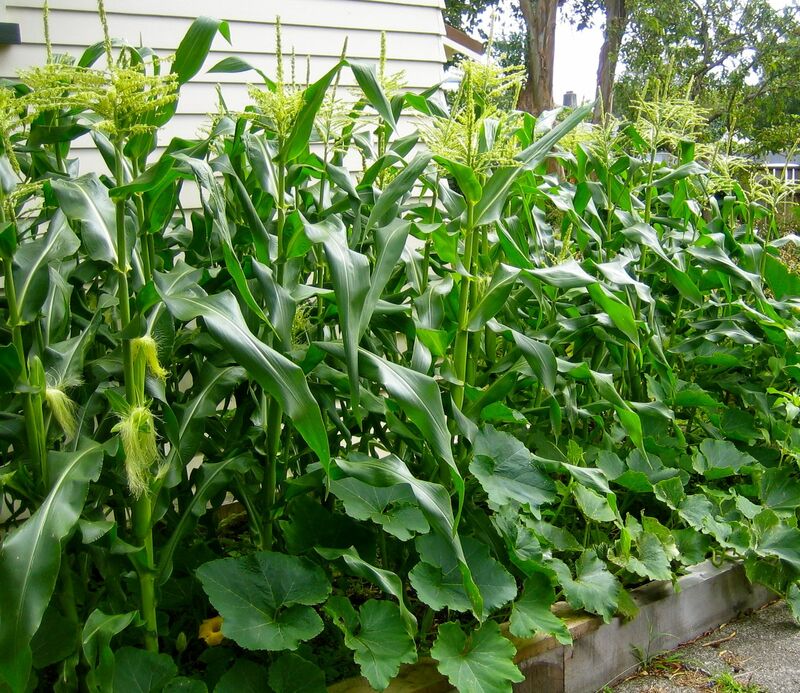 The corn is nearly there – it seems like only yesterday I was pushing corn seeds into the warm earth…there are lots of pumpkins growing around the corn’s ‘feet’ too – we are going to have an abundant autumn! This is going to sound like such a cliche – but I swear, when I started growing my own vegetables, aged around 28 when I had my first baby, time seemed a lot slower and I was aware of my plants growing and can remember waiting patiently for crops to appear. Twelve years on, time seems to go a lot faster -I’m not sure if it is because of getting older, or because life is busier – and the seasons romp around. I feel like I turn my back for a second and the garden changes, vegetables appear, or plants die before I realised they were ailing. Can it be true that time speeds up as you get older? Outside, the first day of autumn – it is blustery and chilly and I feel like summer passed in a blink. I’m not ready to head back into winter! Thank goodness for the sun-soaked flavour of homegrown tomatoes so that I can cling to that summer feeling for another couple of weeks. You inspired me to grow chillis – I’ve had my plant on the living room window sill since Spring. It’s got 15 chillis on it, only one is red though. I take it out onto the patio on sunny days. 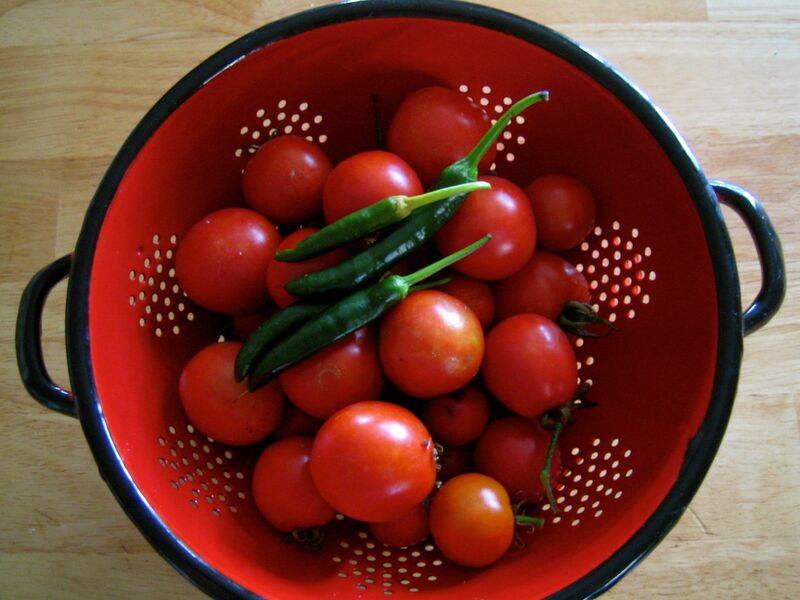 I’m in awe of your tomatoes – I’ve got lots of fruit, but only one ripe one that isn’t a cherry. I’m going to eat it on toast with homegrown basil. It better be good.